Pianist-Composer Yen-Lin Goh is an avid performer of contemporary classical music integrating culture, language, and multi-disciplinary art. She has premiered numerous solo and chamber works in concerts and festivals across North America, Europe, Africa, and Malaysia. Notable composers she has collaborated with include Chen Yi, Ge Gan-ru, Mayke Nas, and Tom Lopez. This year, She is selected as a 2018 One Beat Fellow with the U.S. Department of State’s Bureau of Educational and Cultural Affairs out of a pool of more than 1,500 applications. She was also a member of one of the two composer/performer teams that were awarded the 2017-18 Global Première Consortium Commissioning Project, in which she became the Malaysian representative performer for Vera Ivanova’s new work for solo piano with optional electronics soundtrack. In 2015, she was invited as one of two musicians for a one-month residency at Brush Creek Foundation for the Arts in Wyoming, U.S.A. Among her other awards are the Phi Kappa Phi Love of Learning National Award, and the Tunisian/American Embassy Piano Fellowship that took her to Tunisia in summer 2009, performing and working with students from the Higher Institute of Music in Sousse. More recently, she gave a multidisciplinary piano recital at Arts Without Borders? International Conference in Helsinki, Finland, which included collaborations with Finnish artists from the Sibelius Academy. Last year, Tham 2 Goh, a piano duo formed with Tham Horng Kent, toured around Malaysia from May to September to premiere and perform Wsesley Johnson’s Sedap Cycle, a six-movement work for four hands piano inspired by Malaysian cuisine, written specifically for the piano duo. This was followed by a performance of the first movement of Yen Lin’s Jigsaw Concerto, Puzzled Jigsaw with the ASEAN youth orchestra under the baton of Kevin Field at SEAMEX 2017. This year, Tham 2 Goh is touring around West Malaysia to premiere and perform Tazul Izan Tajuddin’s selected piano works. Some of Yen Lin’s performances can be found at youtube.com/c/yenlingoh. 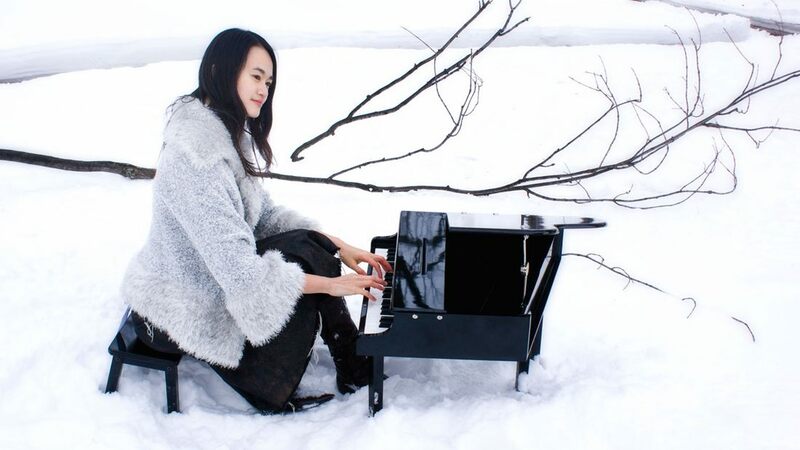 Combining her diverse interests in ethnic music, folk culture, and languages, especially those of her Chinese background, Yen-Lin wrote her first solo piano piece, Fantasia on a Vendor’s Folk Song and gained recognition as a composer after its premiere in 2007. The following year, she was awarded second place in the Young Artist Piano Competition in Oklahoma, playing a piano concerto she wrote for the final round. Yen-Lin’s special interest in improvisation has led her to form contemporary improvisation ensembles and to work extensively with different instrumentalists, vocalists, dancers, actors and theater directors on improvisation projects and concerts. She started including toy piano and toy instruments in many of her performances after discovering their unlimited potential through Ge Ganru’s melodrama Wrong, Wrong, Wrong!. One of her projects was a collaboration with renowned Chinese artist Huang Shenchen, demonstrating the liveliness and spontaneity of calligraphy through an improvisation with Chinese toy instruments. Other artists she has collaborated with include one of Canada’s leading vocalists Alex Samaras, Kyle Dillingham who has been dubbed “Oklahoma’s Musical Ambassador”, Malaysian artists Yii Kah Hoe, Kok Siew Wai, Yong Yandsen, and Goh Lee Kwang, German musicians Frank Gratkowski and Max Reifer, and in 2016, choreographer Lau Beh Chin for the “Where 2 Seas Meet” Production at Damansara Performing Arts Centre (DPAC) in Malaysia. A devoted scholar and educator, Yen Lin has presented her papers and creative works in various music and film conferences, including the prestigious international conference Music and Moving Image in New York City, and the 2016 Southeast Asian Directors of Music Association (SEADOM) Congress. A full scholarship recipient, Yen-Lin earned her Master of Music in Piano Performance with high honors from Oklahoma City University, and subsequently received her Doctor of Musical Arts in Contemporary Music (Piano Performance) from Bowling Green State University in Ohio, where she studied piano with Robert Satterlee and composition with Marilyn Shrude on a full teaching assistantship. She also holds a bachelor’s degree in Piano Performance and Communication Arts/Radio-TV-Film from the University of Wisconsin-Madison. Her passion for teaching brought her to Tanzania 2013-15, working as a piano/voice teaching fellow at Umoja School of Music and a lecturer at Tumaini University Makumira. She is currently a senior lecturer at Sultan Idris Education University in Malaysia.